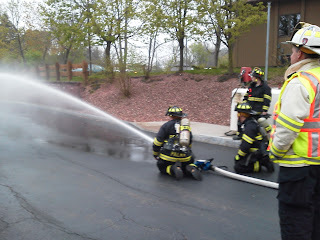 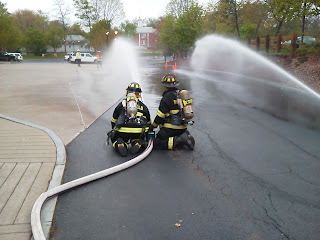 Penfield volunteers practiced with blitzfire appliances last night at the fire station. The blitzfire appliance is a large water cannon that can be placed to spray water on a fire and left unmanned if need be - lets say for instance in the event of a large propane tank that could explode. 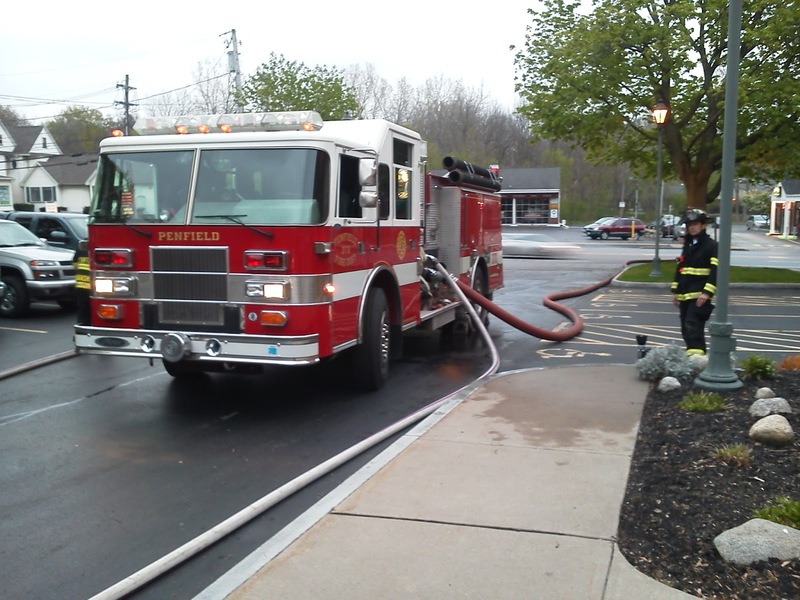 All Penfield front line apparatus has the appliance ready to go. The blitzfire can be used to suppress fire or used to spray down adjacent buildings to prevent the spread of fire.